Prague Convention Bureau celebrates 10th anniversary this year. Over the last ten years, the Prague Convention Bureau has participated in acquiring more than 630 events with the attendance of almost 293,000 delegates. They have generated a total of 620 thousand roomnights worth more than 1.2 billion Czech crowns (€ 47.5 million). “Prague’s meetings industry is one of the major economic sectors of the city. It participates at the gross domestic product of the capital with 1.1% and with 15% at the overall tourism sector. We appreciate that the capital city of Prague is well aware of this fact and it has been supporting the tourism and meetings industry on a long-term basis. Since 2014, when grants for the meetings industry were introduced, the City of Prague has provided financial support exceeding a sum of CZK 23 million (€ 885,000) for a total of 49 congresses and conferences on the territory of the Czech capital. Over the last ten years, this amount has reached nearly 35 million crowns (€ 1,3 million), but in the years 2008 to 2013 the grants were provided not only to congresses and conferences but also to other projects related to tourism support in general," said Roman Muška, Prague Convention Bureau Director. 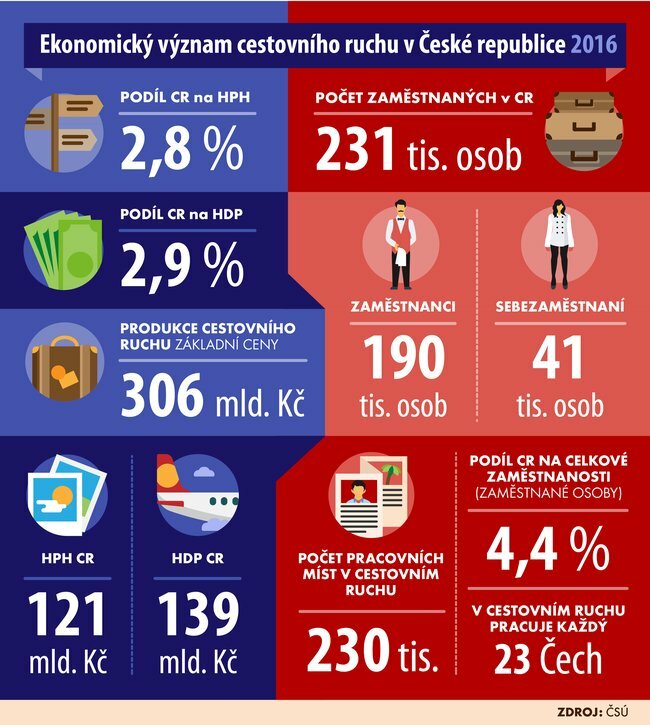 View also the latest figures on tourism in general published by the Czech Statistical Office. Incoming tourists (coming mostly from 1. Germany, 2. Slovakia, 3. Poland, 4. USA, 5. Russia) stayed 4.3 days on average and generated 32.2 mil CZK. in 2016. The share of workforce employed in tourism makes 4.4% of the total employment.